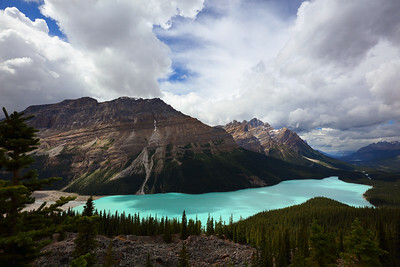 Peyto Lake is a must-see location off of the Icefields Parkway in Banff National Park, Alberta, Canada. 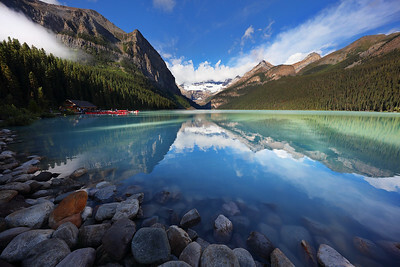 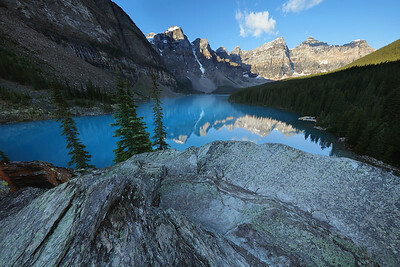 Lake Louise is referred to as the "Crown Jewel" of Banff National Park. 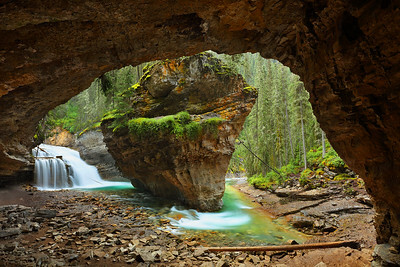 While Johnston Canyon is a much-visited location in Banff National Park, this cave is down a path far less traveled. 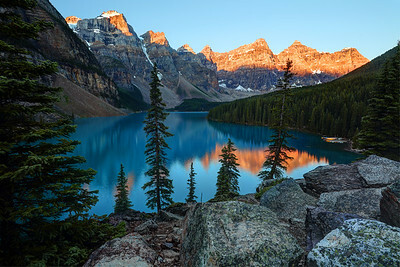 In addition to the great leading lines provided by the foreground rock, I also love how the edges of the rock seem to fit the mountain reflection like a puzzle piece.